Want a fire that’s clean, controllable and starts in an instant? 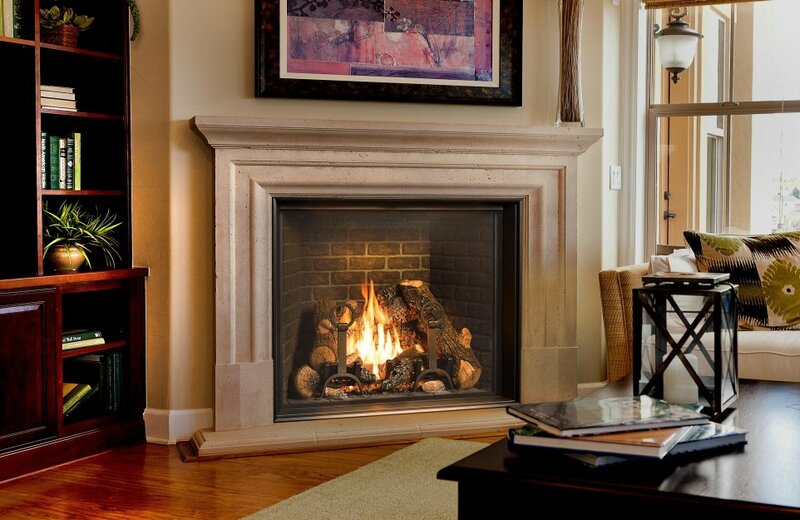 Go green with gas!…It’s hard to deny the allure of a fire	– especially Travis Industries gas fires. Behind gorgeous designer	faces and expansive windows, our log sets and patented Ember Fyre™	technology create the illusion of real burning wood. But the hidden beauty	here is convenience: a cozy fire at the touch of a button, even when the	power’s out; built in thermostats that regulate flame and heat;	compatibility with LP and natural gas – your choice. All this comfort	and convenience from clean-burning fuel. What’s not to love? The 4237™ gas fireplace by FireplaceX® is an extra-large clean	face heater-rated gas fireplace that pushes the limits of fire and delivers	in all areas of performance, design and functionality. Perfect for large gathering places, from great rooms to grand entryways,	the 4237 gas fireplace is a true showstopper that will make a commanding	statement and become the best view in any home. The huge 1,554 square	inch viewing area and fire display extend right down to the floor, creating	a timeless look that resembles a real masonry fireplace. The 4237’s	incredibly detailed, massive 10-piece log set and standard interior accent	lighting showcase a big, bold fire that is second to none. With a 3,000 square foot heating capacity and standard twin 130 CFM fans,	this gas fireplace delivers the heat; however, you have the ability to	control the heat output to a comfortable setting for you with the GreenSmart™	remote control.